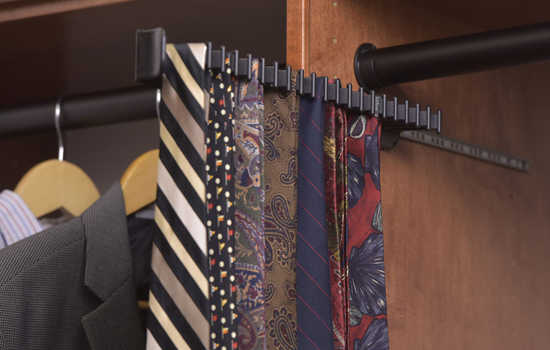 Our design team has created a plethora of different units—all available at your disposal to help make your dream closet a reality. 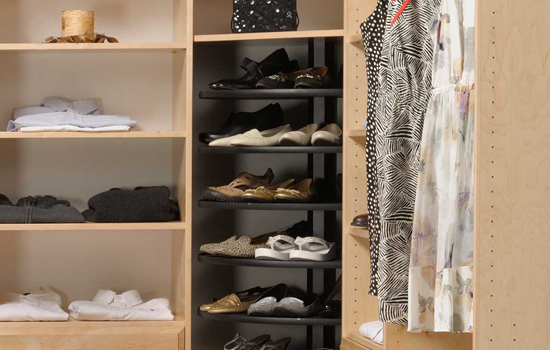 We offer a wide range of options from conventional drawers to rotating shoe towers and much more, making your possibilities endless. 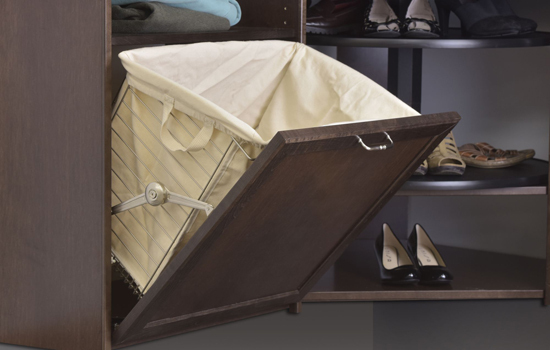 We are also proud to offer a large selection of accessories to create a closet tailored to your every need. 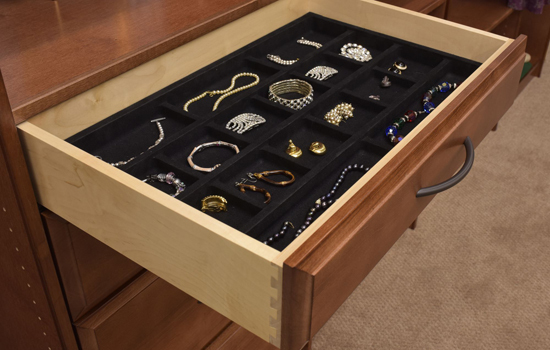 You can purchase accessories or other closet components at your convenience, and these can easily be added to an already existing organization system.